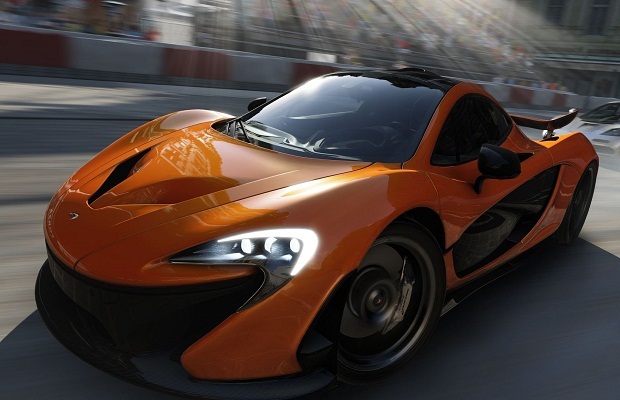 Forza Motorsport 5 will require a day one patch to be downloaded in order to begin playing the game, Dan Greenawalt of Turn 10 said in an interview with IGN. “So when you first boot up the game, we’re going to ask you to log in,” he explained. “And when you log in you’re going to get the Drivatars and you’re also going to get a whole bunch of content: tracks and cars. Our production schedule is such that we are putting them in as late as possible and that means making them free as downloadable content on Day One. What this means for consumers is that due Microsoft’s certification process Forza 5 needs to be done far before the November launch date. The “Drivatar” system is the really unique thing about Forza 5. The way it works is that Turn 10 has not developed any sort of AI for players to race against in single-player. Instead, Forza 5’s system works by gathering driving statistics and data from players all around the world (ones that are connected to the internet, anyway). That is who you will be racing against instead of any AI. No internet connection, no “AI” to race against. “You do have to connect the game in order to get the latest Drivatars, because we need as many people training them as possible,” Greenawalt said. “And so rather than having just a launch-day set that was created by us, every day that people race is going to make the Drivatar set that much more accurate, that much more diverse, that much more interesting. “All of the cloud and online features make the game far, far better,” Greenawalt summed up. “In fact I’d even say revolutionary. The things we’re doing with opponents and Drivatar are not something that anyone can envision unless you’ve played it. But we’re trying to get as much of that into the unconnected, offline mode as well. After Microsoft changed many of its features and policies regarding an internet connection and its relationship to the Xbox One, news that one of its launch titles will require users to connect to the internet at least once to then play offline sort of defeats Microsoft’s changes. What do you think? Follow us on Twitter and like us on Facebook to let us know.